Your landing page is connected to the opt-in form. You need a funnel to sell your course on autopilot. What you don’t need is a migraine. I'll set up your funnel so you can transition your audience from curious to customer — hands-free! Funnels are a lot of moving tech pieces and figure-out-ness. I’ll take the set-up off your plate and off your mind, so you can focus on doing what you do best: creating and promoting your course. A funnel allows you to scale your course without scaling your effort, so you can reach and teach more people. 30 students? Sure! 100 students? Yup. 1,000? 10,000? Yes and yes. First thing’s first: we’ll put up a coming soon page so you can tease your course and gather emails — even while you’re still in the process of creating All The Content. Next thing’s next: a lead magnet and landing page will help you grow a targeted (aka interested, aka likely to buy) audience, and we’ll get them hungry for your course with a series of nurture emails. Sales page? Check. Payment processor? Check. Enrollment? Onboarding? Students having a great time while you sit back and relax? Check, check, and check. All in all, the process takes about 4-8 weeks, depending on how much content you already have! So please book at least 1-2 months before your target launch date. All the packages include tech setup, page design, and testing. If you need copy, video editing, workbooks, or graphics, please let me know through the form below and I can give you an estimate! You’ll get the tech setup and page design for everything in Phases 1-3! You’ll get the tech setup and page design for a phase of your choosing! Pick a phase, any phase! Heya! I’m Mikli. And I’ve spent the last few years helping my clients run their tens-of-thousands-of-students-and-community-members-strong online businesses. I take over the behind-the-scenes work, so you're free to do what you gotta do — nay! What you want to do. Should we end up working together, you don't just get the clickety clacks of my keyboard. You get someone who believes in your work and loves what you do. I also want you to launch that course and scale what you believe in! That’s what this is about: allowing you to focus on making your impact. I love puzzles, connecting things, and puns. Which means I’ll tech care of your funnel, so you can take care of business. "I remember thinking, 'Can Mikli run my life and all my projects? She's so good!' Haha, I know that's not possible but you really are so smart!" "She is a magician and to be honest, she runs my business. I just show up and try not to break things. 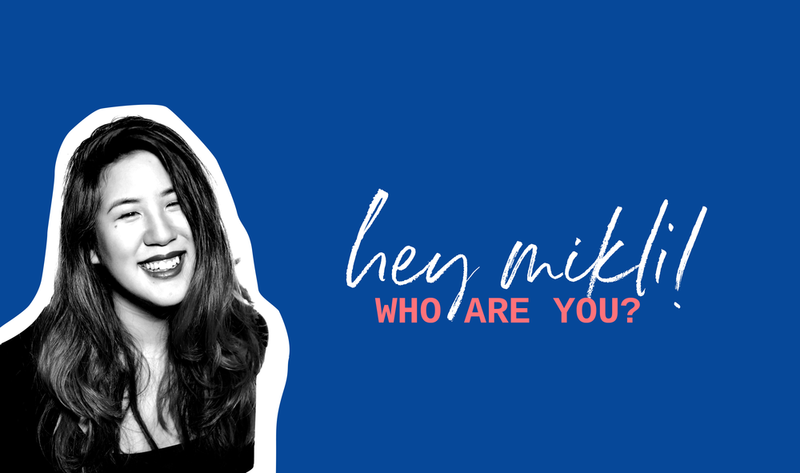 If you need help in your online business, do yourself a favor and get Mikli. She has made not just my business but my whole life easier." "She's good. I think. Mik, what do you do again?" Tech it off my plate, please!